Chocolate Peanut Butter Overnight Oats are a simple, healthy breakfast you can make in under 5 minutes. These oats are packed with protein and so delicious! This post is sponsored by Vital Proteins. 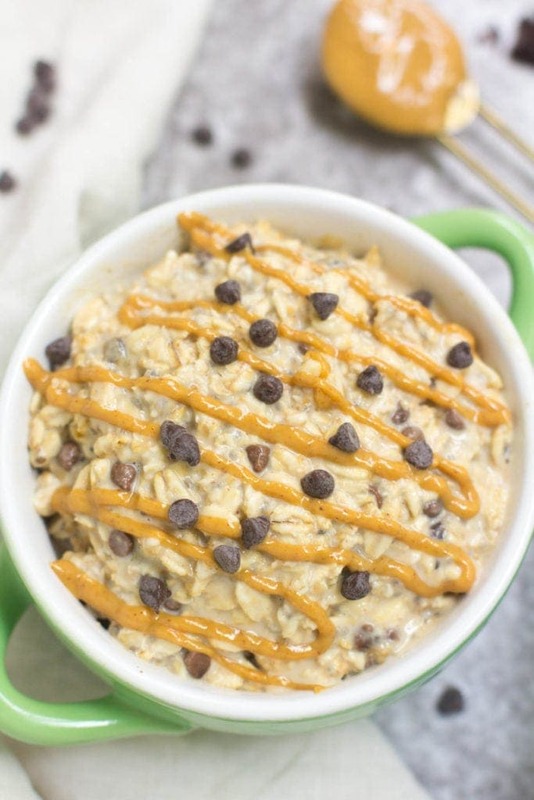 These Chocolate Peanut Butter Overnight Oats… OMG guys, you are gonna love em’! The other day I talking with my brother about quick, healthy breakfasts he could prep/take on the go. 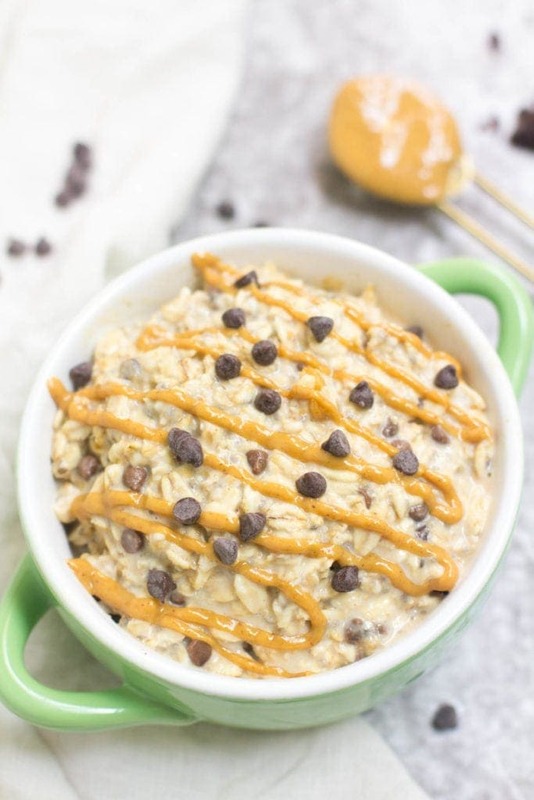 I instantly thought of overnight oats (and baked oatmeal, because it’s my fav!) and told him he could make that for breakfast at night + then just grab it out of the fridge in the morning. 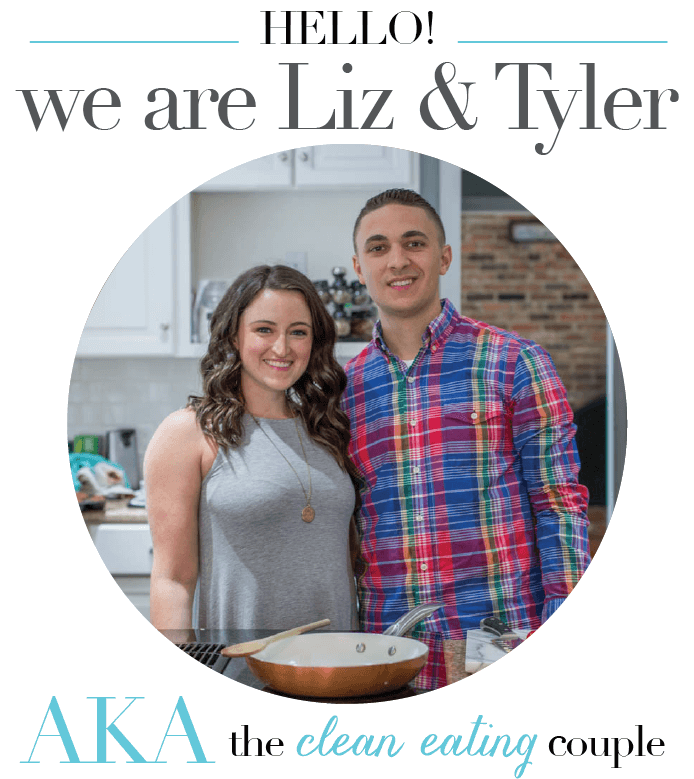 When he told me he didn’t know how to make overnight oats I was pretty surprised.. but then I thought.. there have to be other people like him out there that aren’t sure how to make overnight oats. Let me help ya out here. It is SO easy to make overnight oats. 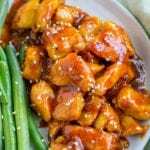 All you need to do is combine your ingredients, shake or stir to combine them, and store in the refrigerator overnight so they thicken up/absorb the liquid. In this recipe I used rolled oats and almond milk as my base, and then added in peanut butter + chocolate for flavor. You can add in any of your favorite toppings! 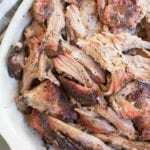 Now that you know how simple they are to make – you’re ready to go! 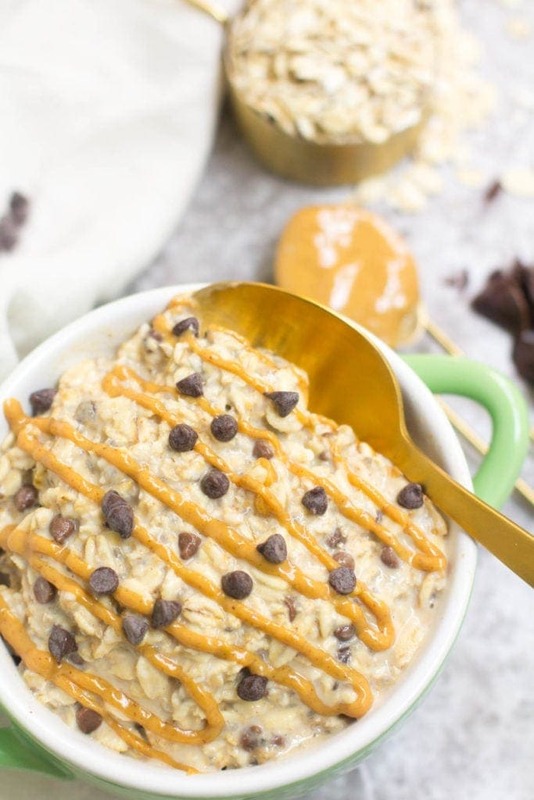 If you’re looking to get a good combo of carbs, healthy fats, and protein when you’re making overnight oats, and these Chocolate Peanut Butter Overnight Oats are the perfect trifecta of just that! This recipe only has 6 ingredients, because that’s all you really need. 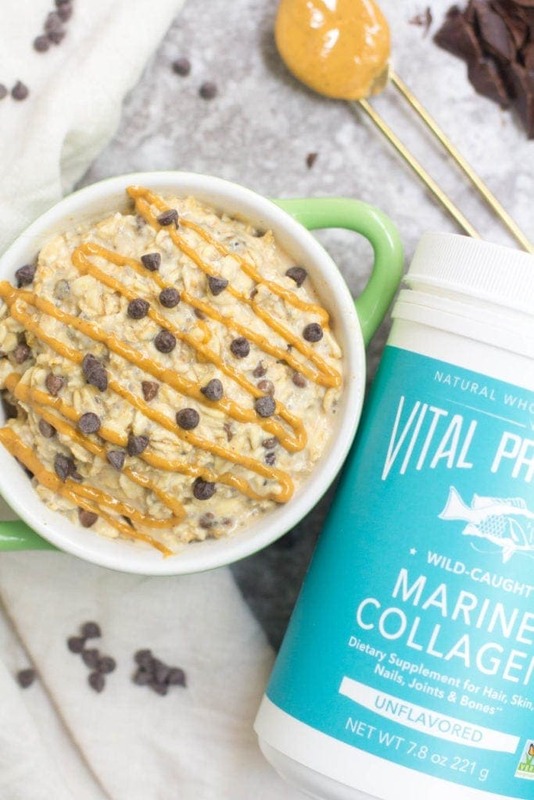 The base is just plain old fashioned rolled oats, healthy fats come from the peanut butter / chia seeds and protein from Vital Proteins Marine Collagen! You all know I love collagen (Here’s why I use collagen) and use it every day! I’m always looking for new creative ways to sneak it into my diet in addition to adding it to my morning coffee. 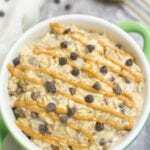 These overnight oats are a great recipe to add it to! I personally don’t eat fish because I don’t like it, but I know how great wild caught fish can be for you! 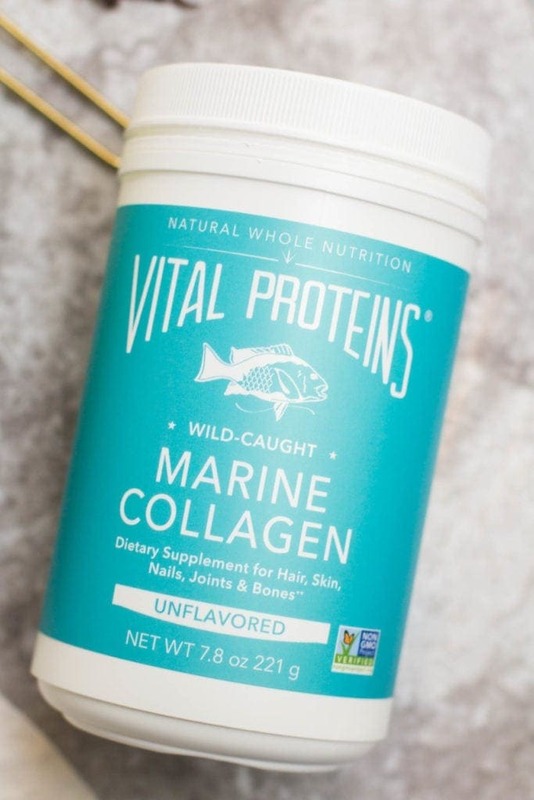 Collagen is amazing for your hair, skin, and nails, and I love getting it from a source other than the regular beef collagen peptides I usually take in my coffee. 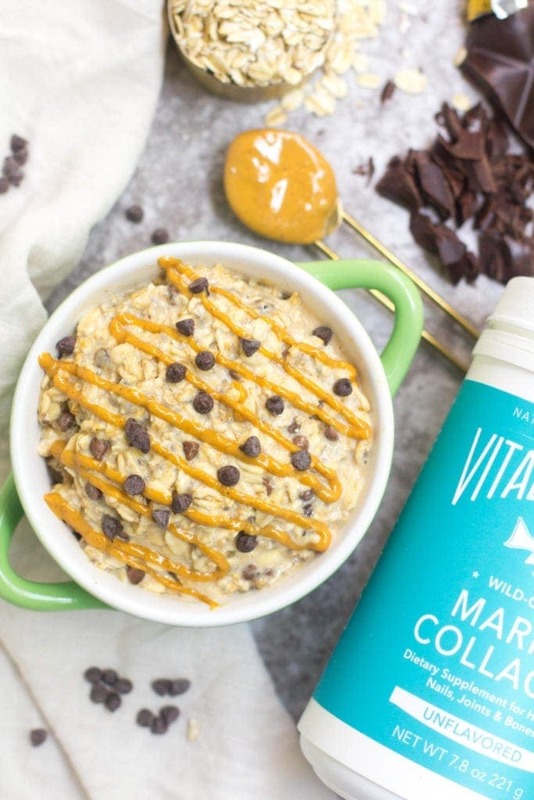 If you’re a coffee purist- than adding collagen in recipes like these oats are great for you! This Chocolate Peanut Butter Overnight Oats recipe is definitely my favorite way to prep overnight oats not only because it’s got good carbs, healthy fats, and protein, but also because it just taste SO GOOD. It’s basically like eating a peanut butter cup for breakfast.. I swear! We recommend prepping/storing these overnight oats for no more than 5 days in the fridge. As the days go on, the oats will get softer. For best results, prep 24 hours in advance! For the recipe you’ll need to use old fashioned rolled oats. These are the only oats that will work for making overnight oats! You can’t use quick cook or steel cut oats to make overnight oats. 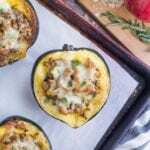 With quick cook oats they can get too mushy when soaking overnight. With steel cut oats, they can’t soak up the moisture overnight. They need to be cooked with heat to make them edible. Do you eat overnight oats cold or warm? You can eat overnight oats cold or warm! It’s up to you and your taste. I prefer to pop my overnight oats in the microwave for 20-30 seconds before eating, but if you enjoy them cold you can eat them cold! Milk– You can sub almond milk for any kind of milk. 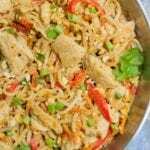 Dairy, oat, rice, etc. Any kind will work! Nut butter– You can sub almond butter or cashew butter for the peanut butter. 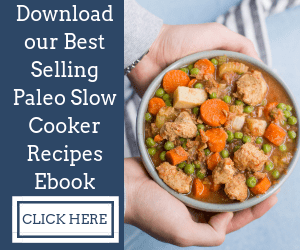 Vegan– If you want to make this recipe vegan you can leave out collagen. Collagen– If you don’t have collagen on hand we recommend trying it. 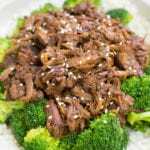 It’s awesome for adding to basically anything for additional nutrients, but you can make this recipe by simply omitting it. Chocolate Peanut Butter Overnight Oats are a simple, healthy breakfast you can make in under 5 minutes. These oats are packed with protein and so delicious! In a mason jar or container, combine all ingredients, cover + shake vigorously to combine. You may need to stir after shaking to evenly distribute peanut butter. 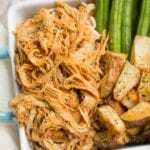 When ready to eat, serve cold or heat in microwave. This is my new go to breakfast. 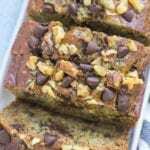 So easy and tastes like reeses! Hi Hazel – the marine collagen is linked multiple times through out the post, but you can click here to purchase it. How long can I leave these in the fridge? Can I prep for the week? Hi Amber- We recommend prepping/storing these overnight oats for no more than 5 days in the fridge. As the days go on, the oats will get softer. For best results, prep 24 hours in advance! This looks delicious! If I was going to add some bananas to the oatmeal, would you recommend adding them before or after you soak the oats overnight? I would probably add them after they soak – I think they might get a little brown/mushy otherwise!